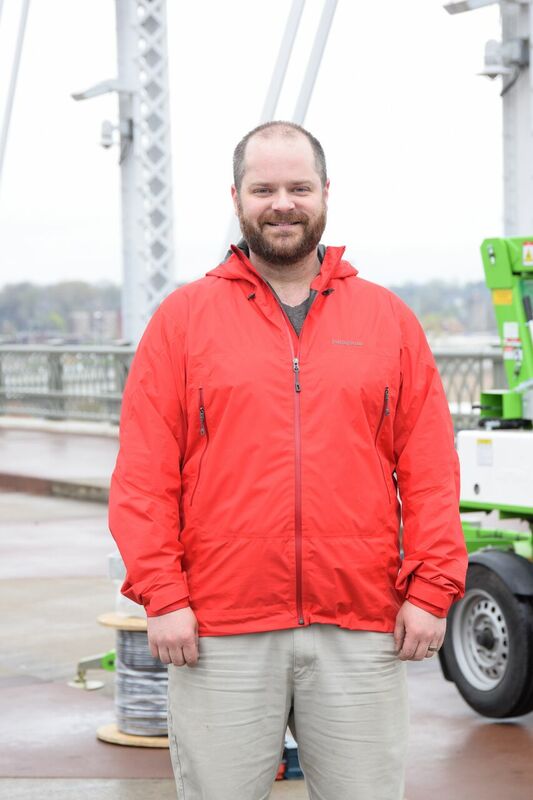 Masters of Music Composition alumnus Aaron Hoke Doenges (’09) has an interactive music installment called “Wade [Music for River and People]” on exhibition on the Pedestrian Bridge downtown. The exhibit is composed from live data about the Cumberland, Harpeth and Richland rivers from the United States Geological Survey website that has been translated into music. As people move across the bridge, the musical elements are altered to reflect the impact pedestrians have on local waterways. The larger the audience, the greater the changes in the music will be. Wade [Music for River and People] will be installed until April 29 on the John Seigenthaler Pedestrian Bridge in downtown Nashville and is free and open to the public. The project is funded in part by the Metro Arts: Nashville Office of Art & Culture. Doenges will also be speaking at the River Talk, hosted by the Cumberland River Compact, on April 26 from noon to 1 p.m. at the Bridge Building.